Tablets and smartphones have revolutionised the way in which we all work, and changed expectations of how everyone should be able to work. Modern workers need to communicate and share information, from any location, and from any mobile platform. Making potentially sensitive analytical and other scientific data available to the right personnel, in real time and in a suitable format, is no different, conceptually, at least. 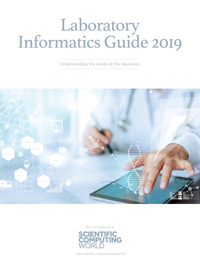 Yet in an R&D or life-science testing environment, data is likely to comprise multiple layers of information, coming out of multiple instruments from multiple vendors, which may all use different native software. Seahorse Mobile Edition is the latest development in BSSN’s drive to provide software that will get the right data, in usable and ultimately reusable formats, to the end users – the people who need to review and potentially make decisions based on that data. The firm, based in Darmstadt, Germany, is also developing tools that will facilitate the integration of experimental and analytical results in formats that are compatible with other R&D platforms and systems, such as an electronic laboratory notebook (ELN) or laboratory information system (LIS), for example, Schaefer explains. A key point here is to make data integration smarter, so that only relevant information is passed into other layers of informatics systems, Schaefer adds. This need to optimise data accessibility, usability, and integration has been built into BSSN’s development of its Seahorse family of software solutions for capturing, viewing, and sharing analytical and biological data. The product portfolio is founded on the firm’s flagship Seahorse Scientific Workbench, a vendor-neutral software suite that can capture and manage raw analytical and results data from a wide range of experimental techniques and instrumentation. Seahorse Workbench allows disparate data types to be interpreted and viewed side-by-side, irrespective of the original software, with support from visualisation, annotation and reporting features. BSSN is now testing a beta version of a Seahorse Web Edition, which will ultimately provide similar functionality to the desktop edition, including data analysis and reporting. 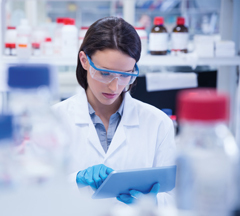 For the bioprocess sectors, BSSN offers its Bioprocess Manager suite, which supports the complete bioprocess development and execution workflow. Contract Research Manager, also based on the Seahorse Workbench, has been developed to facilitate the streamlining of communication, ordering analytical results and workflow data-sharing and interaction, between client and CRO. Key to all BSSN’s platforms are the vendor-neutral mechanisms of data capture, built on the XML-based AnIML data standard, which has been developed for the storing and sharing of multiple experimental data formats, for a wide range of scientific disciplines. BSSN is pioneering AnIML, and offers a number of converters that can transpose data from other formats directly into AnIML. In parallel with its drive to promote the standardisation of informatics communication, and having developed the tools for collating disparate data together and effectively publishing it in standard and usable formats, BSSN is also turning its attention to the development of new solutions that will add value to existing informatics layers by allowing scientists to do even more with their data. ‘Data aggregation was the first step, and now we need to see what kind of data processing and workflow management we can put on top of that, so that we can cover an entire workflow within an organisation, all based on open standards,’ Schaefer explained. ‘This will involve the development of domain-specific tools that will allow scientists to carry out data post-processing, independently from that instruments software.